Laura Kaan is a Top Colorado Springs Real Estate Agent with The Platinum Group REALTORS. As one of the best REALTORS in the Colorado Springs and Monument areas, helping home buyers find their dream home and homeowners sell for more. Whether you looking to buy a home or list your Springs home, contact one of the best agents in the City. Helping Buyers Find Their Dream Home and Homeowners Sell for More! Whether you are searching Colorado Springs homes for sale or looking to sell your home, I hope that you find my real estate website useful. I understand that you may be in the initial stages of your home search or just gathering market information. I promise to not bother you, but if you have any questions or need anything at all please feel free to contact me at anytime. As a top Colorado Springs REALTOR it would be my pleasure to help assist you in anyway possible! The purchase of a home is an emotional process that is also a very large investment. I find it extremely rewarding helping buyers find their dream homes. Backed by a team I am able to dedicate 100% of my time to you throughout your entire buying process from the initial home search all the way through to closing. I take a very personal approach with all of my clients, which enables me to better understand your needs and what you are looking for in a home as well as what your goals are in homeownership. I help a wide range of buyers, so whether you are a 1st time home buyer, military member PCSing to the Springs, or looking for your dream home I would love to help. The greater Colorado Springs area consists of several surrounding cities including; Monument, Palmer Lake, Manitou Springs, Fountain, Security, Black Forest, Falcon, Peyton and Colorado Springs. Our real estate market breaks these various areas down into over 21 broader areas for ease of classification, market analysis and home search. Each of these broader areas have many individual neighborhoods inside their boundaries. Each of these individual neighborhoods also fall into the boundaries of the various school districts. My Colorado Springs neighborhoods page has more detailed info and I am always here to help you understand what areas might best fit your needs. I help a lot of military members buy and sell their homes, and as a former military spouse, I truly appreciate and respect the service and sacrifice that our military members endure. 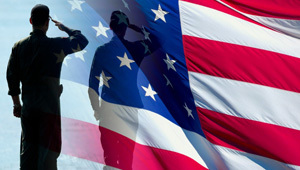 To show my appreciation I offer an aggressive Military appreciate cash back rebate for all active duty and retired military members. Whether you are relocating to Colorado Springs and looking to purchase a home or in need of selling your Colorado Springs home, my cash back rebate is just a small gesture to thank you for your service. Many agents do not even offer this type of rebate and for those who do my cash back rebate program beats most of them. The purchase of real estate provides not only a home but can also be a great investment for you and your family. Unless you know what the Colorado Springs real state market conditions are and how they may impact you, it’s difficult to make an informed decision about your investment. I work very hard to ensure my buyers and sellers fully understand all market conditions that can impact them and the decisions they make. Market conditions are local and can vary widely depending on the actual neighborhood, price point and an individual home. My market trends page will help give you a basic feel for the current and past market conditions and future projections. Colorado Springs and the surrounding areas are a beautiful place to live and is consistently found on many of the nationwide media’s “Top” lists for best places to live. If you are relocating to the Colorado Springs area, I offer a complimentary relocation packet which includes a lot of local information that will help you with your transition to the Springs. My Colorado Springs area information page also provides information that you may find useful to include information on Colorado Springs area school’s and school districts, community information, and more. If you need any assistance in your relocation or have any questions please fell free to contact me at anytime. Selling your home can be a stressful time, but it doesn't have to be. It’s important to select the right real estate agent to help guide you through the entire process to ensure your home sells in the shortest time for the highest price. Not all REALTORS are the same and the ramifications of not selecting the right real estate agent can cost you a lot of time, money and heartache. Ranked in the Top 1% of all Colorado Springs REALTORS for sales volume and total number of sales each year for the past five years, I have the experience and reputation to help you decide if this is the right time to sell your home and to successfully guide you throughout the entire process to get your home sold! Visit my home sellers page for more information on my professional listing services. Check out my latest real estate videos. You can maximize to videos for easier viewing by clicking on the lower right expand button after the videos start. Searching all available Colorado Springs homes for sale in the Colorado Springs and Monument area has never been easier. This interactive home search tool is extremely powerful and easy to use. Many home buyers find this search to be much more beneficial than any other non-MLS updated search sites out there providing the most innovative and accurate technology available. Whether you are searching for a home in a specific neighborhood, school district, looking for foreclosures, or just want to get a feel for the various neighborhoods you will find search homes to be easy and fun. I also offer a complimentary pre-foreclosure / foreclosure search and or a complimentary personalized home search website that provides listing content obtained from our Pikes Peak MLS. 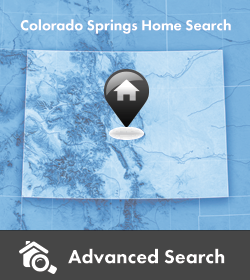 It is much better and more accurate than other search tools available because it is updated from the Pikes Peak MLS, it can only be created by local real estate agents with access to the PPMLS system, and is an invaluable tool when searching for homes in Colorado Springs and surrounding areas. Your personalized home search website would help aid in your home search and give you a better feel for what you get for the money. It is a great tool that is designed to save you time and consolidate your home search into one area. This personalized search saves you hours of searching for a home by doing the work for you and then notifying you when there are any changes that you might be interested in. You can access your website at anytime, save your favorites, delete the homes you do not like, and take notes as a way of communicating with me if you would like, or for your own record. To take advantage of these invaluable home search tools just visit my foreclosure or personalized home search page and provide some basic information and it would be my pleasure to get your personalized home search site up and running for you!